These glass cups with nodes stack in such a way that air can get in and dry them out while the water drips out. What this means is that after you wash them up you can stack them on top of each other and the water will drip out rather than getting stuck. Glasses stack on one another and the nodes prevent them from fall too far down. Air gets in, water gets out, so they can dry while stacked. Dishwasher safe as well, stack them and wash them in there. Wavy top is made to be stable as well. Comes in a set of 4 for the price. The first clear positive of this item is that they can be stacked to dry with the design allowing air in and water out. As such they are great for parties and events where you may wash up quite a few cups and yet not take up so much space to dry them. That is the key use of this item and for that purpose they work very well. Basically if you are looking to buy a heap of glasses for a party these are a great choice. The next positive is that the visual design is interesting and appealing. This is really a matter of taste and I am sure some people would very much dislike the uneven top but it is at least interesting. The nodes also make the glass just a bit easier to grip and a bit less likely to be dropped. While this may not seem like a feature, at a party it might save on cleaning up if people are drinking alcohol. Some people have reported these glasses cracking for some reason in the dishwasher. The manufacturer, Quirky, says that they are dishwasher safe and as a rule Quirky are pretty reliable and make good products. The other thing with this item is that the top may annoy the more fussy drinkers around. It is smooth and comfortable but not even, so those leaning towards obsessive compulsive may have issues with it. The majority of people have reported this as a non-issue, though, and it is smooth enough. The glass is also quite thin on this item which is generally a sign of low quality. Personally I do not care as they are just typical glasses and are not that expensive really anyway but all the same it is a slight negative. Its probably part of the reason they are breaking in some people’s dishwashers. 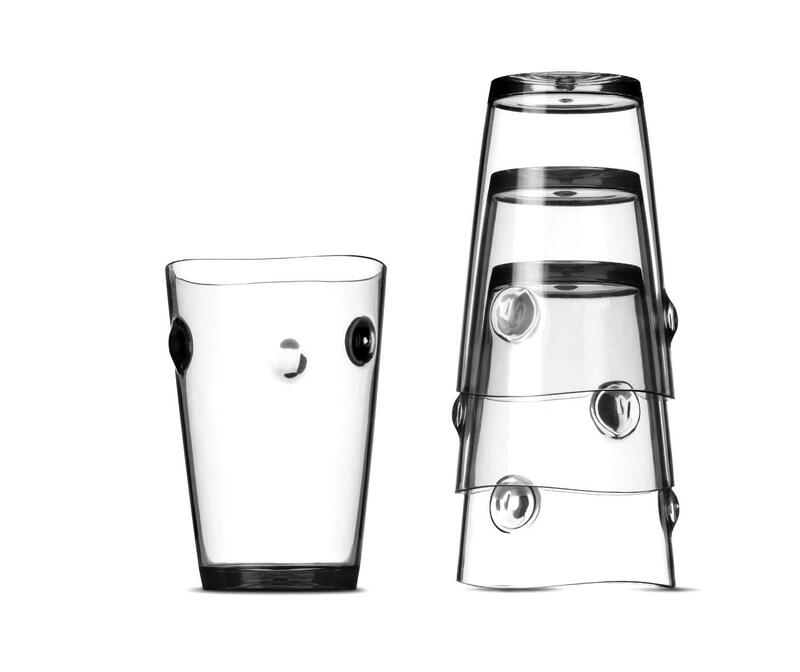 A nice item that could very easily be improved with thicker glass.